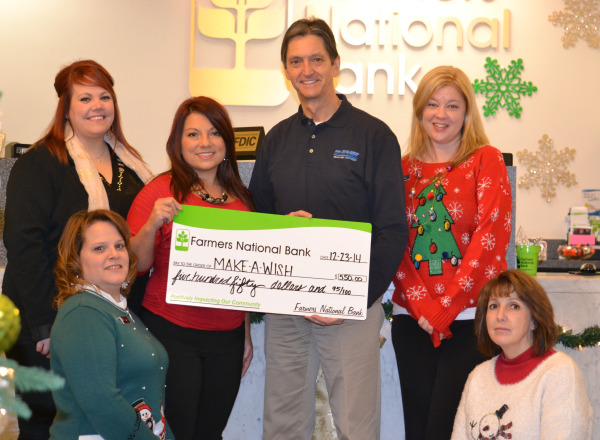 The employees of The Farmers National Bank of Emlenton recently donated $550 to the Make-A-Wish annual fundraising campaign held in St. Marys. Employees of the Bank raised money for this donation through their Community Jeans Day program. The Farmers National Bank of Emlenton announced today the launch of their new Mobile Banking capabilities for Apple and Android™ smartphones. The Farmers Mobile App is a new, convenient service for customers which operates in conjunction with the Bank’s current Online Banking platform. 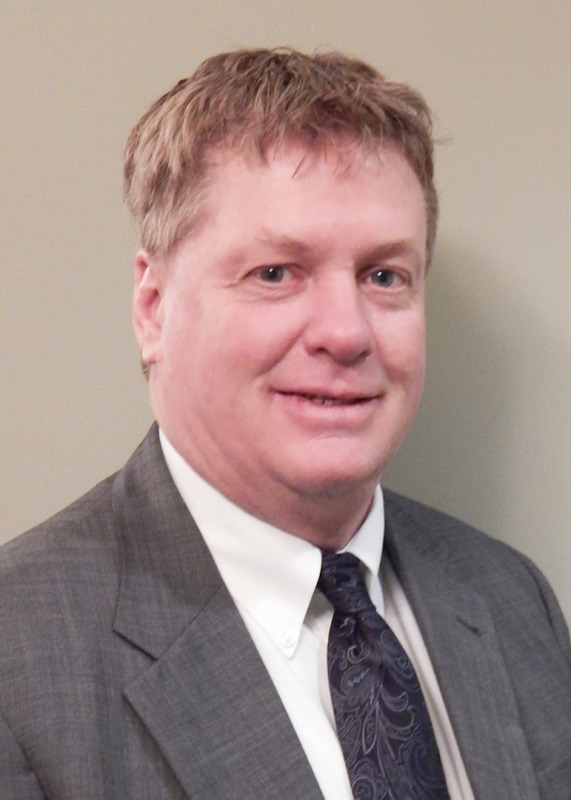 The Farmers National Bank of Emlenton announced that Robert W. Pater has joined the organization as Assistant Vice President, Commercial Loan Officer. 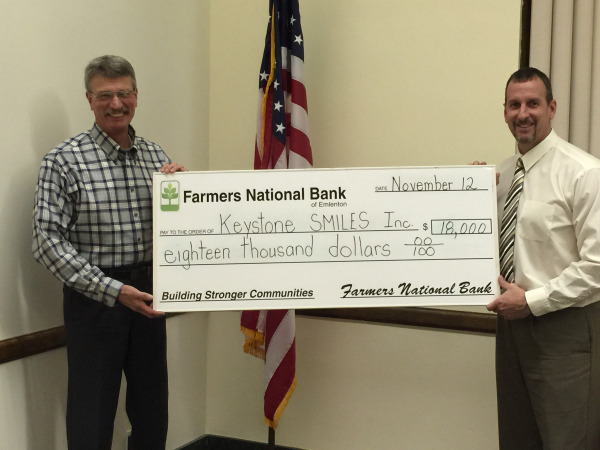 The Farmers National Bank of Emlenton recently donated $18,000 to Keystone SMILES as part of the Pennsylvania Educational Improvement Tax Credit (EITC) program. The money will be used to fund educational and community service activities focusing on establishing child development and community learning in surrounding rural communities. 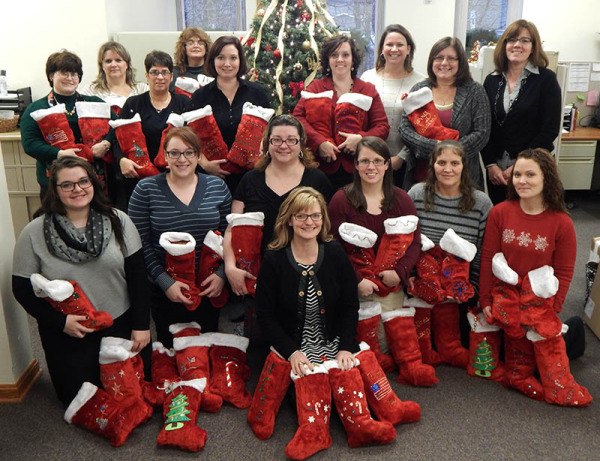 The employees of The Farmers National Bank of Emlenton - Operations Department, recently donated 50 filled stockings to the Robert V. Burns Funeral Home of Clarion in support of their annual Veterans & Family Memorial Care Stockings for Soldiers initiative. The employees of The Farmers National Bank of Emlenton recently donated $400 to the Salvation Army Service Unit in Grove City, Pennsylvania. Employees of the Bank raised money for this donation through their Community Jeans Day program. The Salvation Army Service Unit provides financially struggling individuals and families with necessities such as food, clothing, shelter and more in the local community. Currently, the Salvation Army is promoting its Red Kettle campaign which helps raise money during the holiday season to provide toys for kids, coats for the homeless, food for the hungry and social service programs year-round. For information on how to donate or become a volunteer, please call 724.992.3099 or email dmurray@farmersnb.com. 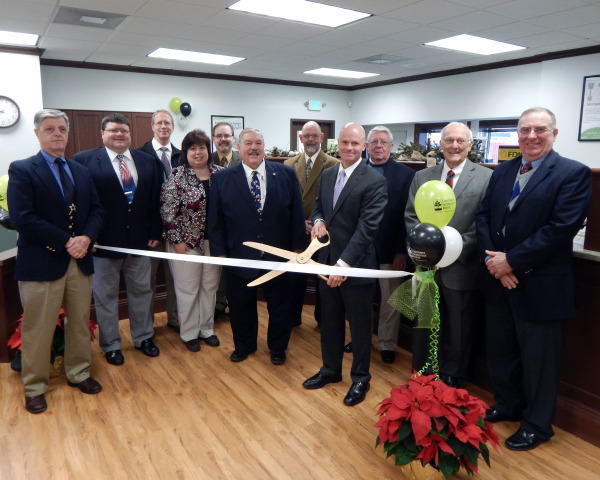 The Farmers National Bank of Emlenton recently hosted a ribbon cutting ceremony and customer appreciation day in recognition of the grand re-opening of its Clarion Office. The local office underwent an interior and exterior renovation during the past five months. Updates to the facility include additional parking, expanded drive through lanes, interior updates and outdoor green space. 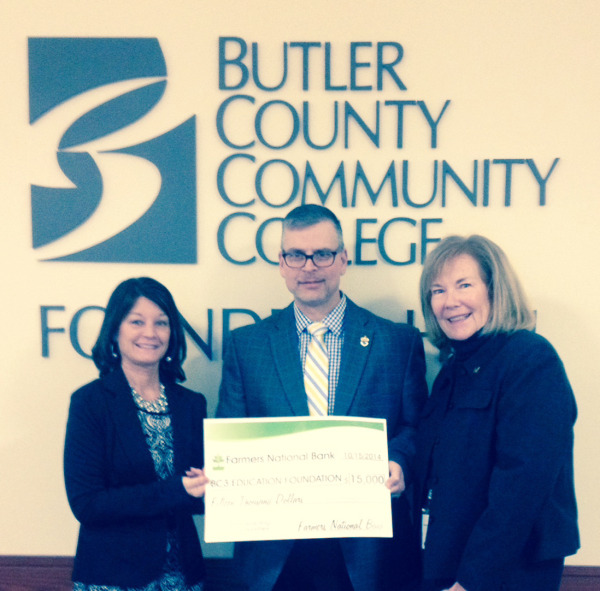 The Farmers National Bank of Emlenton recently donated $15,000 to the Butler County Community College (BC3) Education Foundation as part of the Pennsylvania Educational Improvement Tax Credit (EITC) program. 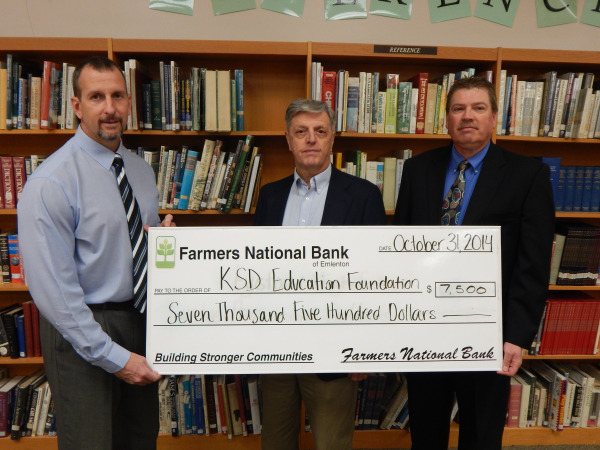 The Farmers National Bank of Emlenton recently donated $7,500 to Keystone School District Education Foundation as part of the Pennsylvania Educational Improvement Tax Credit (EITC) program. The money will be used to fund academic and technological enhancements throughout the Keystone School District and reward students and teachers for achievement and excellence. Accepting the donation on behalf of Keystone High School was Mr. Vern Lauffer, Business Manager. Representing The Farmers National Bank of Emlenton was John B. Mason, Board Member, and Allan Johnson, Assistant Vice President, Branch Manager of the Knox Office. The Farmers National Bank of Emlenton is dedicated to making yearly contributions to educational improvement and scholarship organizations within the communities it serves through the EITC program. The Farmers National Bank of Emlenton recently donated $3,000 to the Brockway Education Foundation as part of the Pennsylvania Educational Improvement Tax Credit (EITC) program.